Welcome to Riverland Dingo Observatory! Welcome to the Riverland Dingo Observatory. You are about to access an exciting new world of telescope hosting facilities; let us tell you all about it. 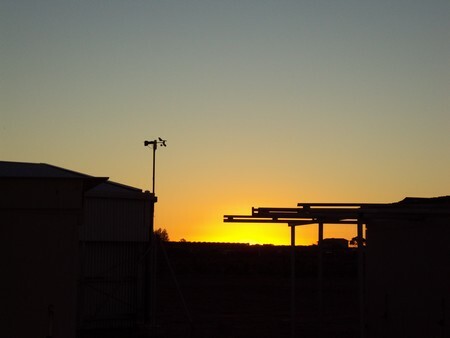 We have secured a site location for the clearest skies here at Riverland Dingo Observatory, so that you can explore the skies remotely and in comfort, from anywhere in the world. Explore our web site to learn more about our fine weather conditions, and enjoy hands on understanding of remote operation. Hear from other customers about their enjoyment and discoveries in using our services so you can learn how to get your very own slice of the action. To capture images through the clearest skies, we located the farm in the outback desert of South Australia, a short distance from a small town called Moorook. We have monitored other locations around Australia and we have by far the highest number of cloudless nights in Australia suitable for CCD imaging here. Our location also has the benefit of limited rainfall to provide clear vision as the rainfall of Moorook is on average only 264 mm per year. For additional up to date stats on our weather, have a look at the "Weather History" link. Sight normally ranges from 1.5" to 2.8" FWHM with best being around 1" FWHM and the maximum being around 4.5 FWHM. 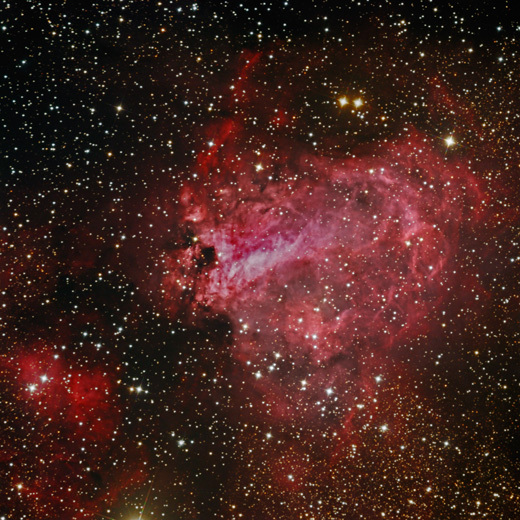 The southern Milky Way bulges from east-west across half of the sky, and some Messier objects are easily visible with the naked eye. Our new 5Mbps Symmetric Connection which has proven extremely reliable since being installed back in August 2010. In Australia, it is rare to have pollution, and light pollution free skies and having national backbone internet access. This solid connection has contributed greatly to customers down loading their images in real time. This is a very important aspect for customers when discoveries are made. General operation of complex remote telescopes. We can also offer additional support provided by New Mexico Skies. 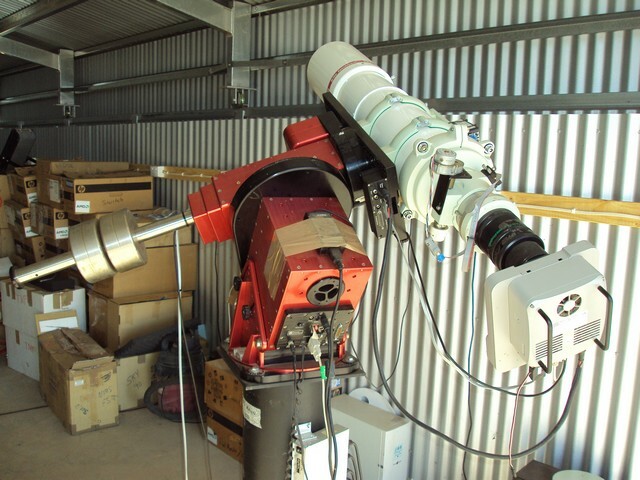 As the Director of Riverland Dingo Observatory, I enjoy astronomy and have seen first-hand the exciting advances in technology over the years. Come and explore the skies from one of the best location in the Southern Hemisphere, direct from your desk. We look forward to working with you, and remember, "Human eyesight is the only limiting factor here, with a powerful scope you can see it all..."
We set the standards in Australian Telescope Hosting Facilities! 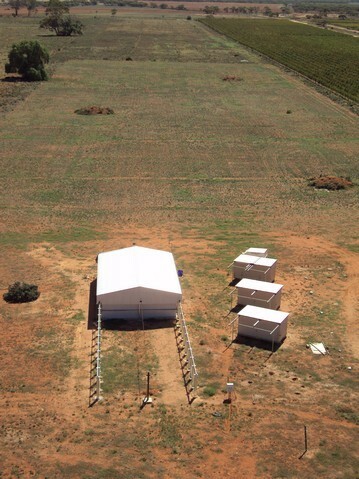 Aerial view of the Riverland Dingo Observatory. Sunset at Riverland Dingo Observatory. Takahashi TOA 150 on Bisque Paramount ME. 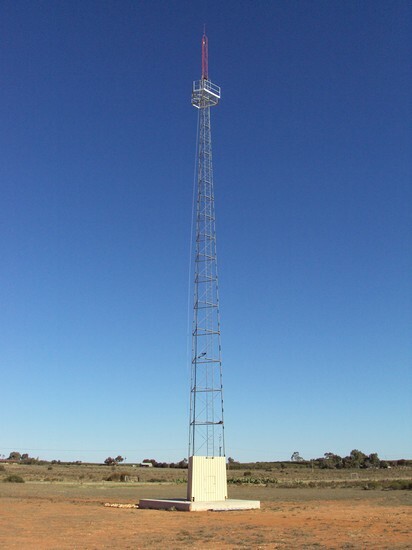 High Speed Wireless Internet Tower.